If the government deserves blame, it’s for not holding the RBI to account much sooner, not for undermining its independence. Critics have called the resignation of India’s former central bank chief Urjit Patel and appointment of former Finance Ministry official Shaktikanta Das as his replacement a blow to the hard-won independence of the Reserve Bank of India. Such fears are overblown. The changeover at the RBI is something else entirely: an opportunity to rebuild the central bank’s badly damaged credibility with financial markets. While Patel deserves credit for the RBI’s efforts to clean up bad loans at India’s public-sector banks, his supervision of monetary policy often frustrated and confused economists and market participants. Under Patel, the RBI’s media and analyst briefings grew increasingly opaque. When setting rates, the bank couldn’t seem to decide whether to use headline or core inflation as a judge. Either way, Patel’s RBI consistently overestimated inflation, while adopting a new definition of real interest rates to suit an apparent hawkish bias. The bank raised rates in the face of an adverse oil-supply shock and tightened controls on already struggling banks, against international evidence and economic theory. Recently, it refused to acknowledge an evolving liquidity deficit in the banking system and shifted to a calibrated tightening stance despite evidence of weak growth. The latter decision is particularly baffling. While controlling inflation is and should be the RBI’s first objective, it’s gone well beyond its mandated target of 4 percent. Inflation has averaged 3.5 percent (adjusted for the statistical impact of higher housing allowances) over the last two years and reached a low of 2.3 percent in November. The bank’s secondary goal is to maximize growth. Yet, under Patel, the RBI often relied on questionable growth and inflation projections that confirmed its hawkish inclinations — estimates it repeatedly had to revise downward. Such policies were completely out of sync with economic reality. In the end, Patel’s only options were to admit that the bank had erred in pursuing an excessively tight monetary policy, or to step down. He chose the latter route. While his surprise resignation prompted fears of increased market volatility, the reaction was generally positive — a sign that markets hope the RBI’s bias will be removed and tensions with the government eased under a new governor. True, Das’s closeness to the government will inevitably raise questions about the RBI’s independence. But, an easier monetary policy would actually show respect for the data and economic realities, more than a loss of autonomy. It would also be a belated recognition that the Modi government has boosted India’s potential growth rate — the pace at which the economy can grow without generating inflation. Governments everywhere prefer lower interest rates so as to juice the economy without having to undertake politically tough structural reforms. In India’s case, on the other hand, the government has willingly introduced multiple structural reforms over the last few years, including a new indirect tax structure that has widened the tax net and removed inter-state barriers to trade, a new bankruptcy law that’s improving the credit culture and strengthening bank balance sheets by chasing defaulters, and multiple measures to improve the economy’s ease of doing business. Under Patel, the central bank not only failed to acknowledge such efforts, it actively pursued policies that dampened growth, hurting efforts to create jobs and alleviate poverty. 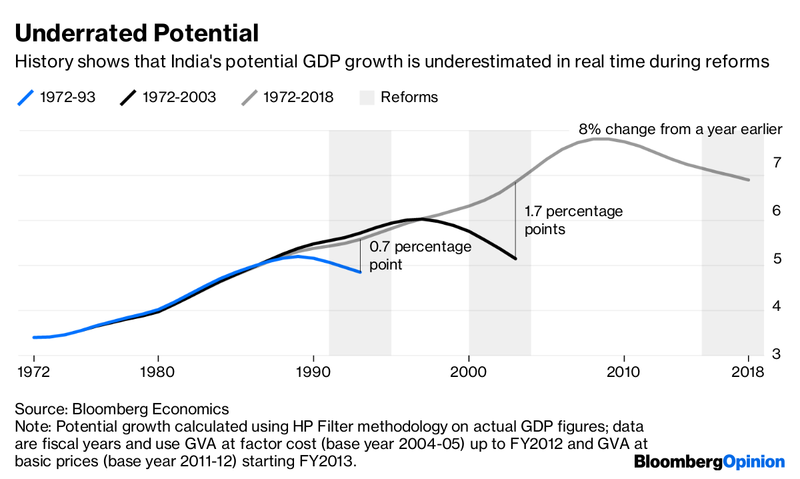 Worryingly, research by Ashima Goyal, a member of the prime minister’s economic advisory council and the RBI’s Technical Advisory Committee, has shown that sustained growth below potential can induce a permanent shift to a lower growth path, creating persistent losses. The RBI was able to persist so long in its errors because of what Arvind Subramanian, the government’s former chief economic adviser, described as the tendency for experts to “stay on the right side of power” — to find ways to justify policy decisions, whether by the RBI or the government. Instead of demanding more balance in monetary policy, economists and financial markets thus accustomed themselves to the RBI’s unreasonably high inflation projections and hawkish policy bias. 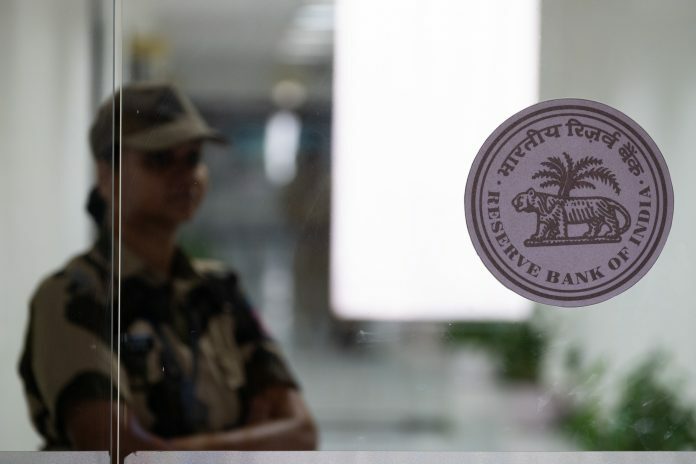 A late realization by the government eventually led it to invoke — for the first time ever — special powers under the RBI Act to initiate a consultative process with the central bank in the public interest. If the government deserves blame, it’s for not holding the RBI to account much sooner, not for undermining its independence.